Rep. Ilhan Omar speaks as Sens. Richard Blumenthal and Bernie Sanders listen during a news conference on prescription drugs January 10, 2019, at the Capitol in Washington, D.C.
“Since the president’s tweet Friday evening, I have experienced an increase in direct threats on my life — many directly referencing or replying to the president’s video,” the Democrat from Minnesota said in a statement Sunday night. 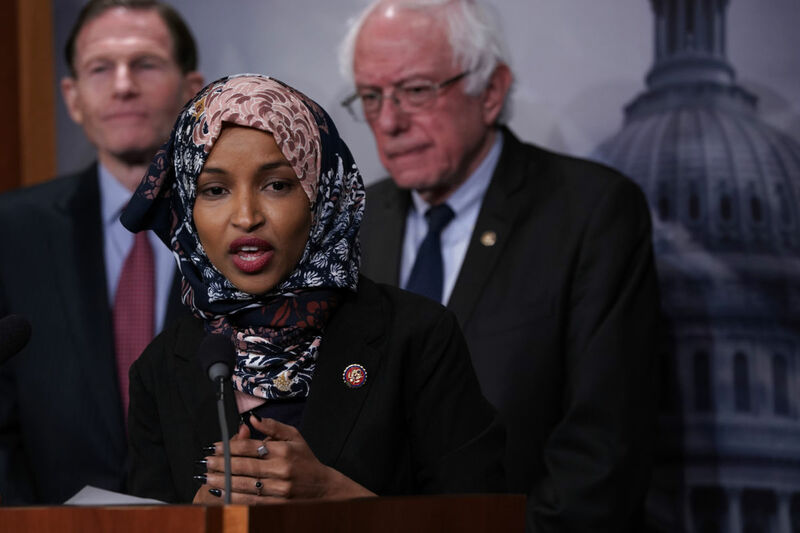 Since the president’s tweet — and the right-wing media’s smears against Omar that preceded it — progressives have urged Democratic leaders and 2020 presidential candidates to stand up for the Minnesota congresswoman. As some Democrats — including House Speaker Nancy Pelosi (D-Calif.) — were slammed for issuing tepid responses to the president’s tweet, Sens. Elizabeth Warren (D-Mass.) 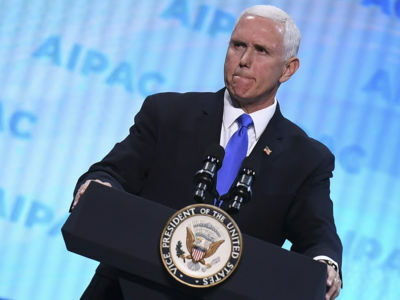 and Bernie Sanders (I-Vt.) were among those who released strong statements standing with Omar and condemning the dangerous right-wing attacks.